& surrounding areas for over 35 years. we offer heating and cooling solutions to Guelph & surrounding areas for over 35 years. Here at Oosterveld Heating & Air Conditioning, we’ve served Guelph, Ontario, and the surrounding areas since 1980. The secret to our longevity is to always put the customer first. As a family-owned company, we enjoy keeping our local friends and neighbors comfortable. That’s why we only use dependable heating and cooling products and tools. Whether you need an installation or repair, our technicians will be precise. If your heating unit is older than 15 years or you’ve lost warmth in your home, it could be time to have the unit checked by a heating technician. Our crew will give you a full diagnostic check when you’re experiencing any type of issue. We can repair or install furnaces, fireplaces, geothermal units and more. At Oosterveld Heating & Air Conditioning, we offer top brands of cooling and air conditioning appliances. This means you can expect long-term results when you turn to us. Whether you need a full air conditioning installation or repair, we’ll be there for you. We can also help if you’re interested in an air filtration or humidifying service. We’re known throughout Guelph for providing many services for home and office comfort. For example, we can service natural gas, electric and propane furnaces. We also offer furnace installation (by law only 90% or more efficiency). 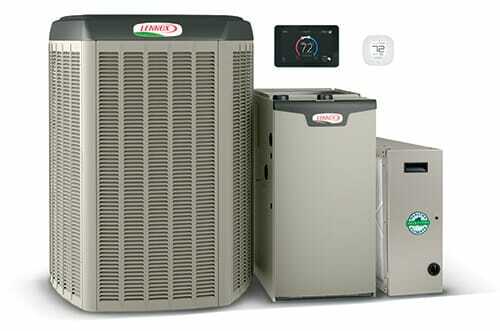 Air conditioning and indoor air quality systems are available for installation as well. If you need heating and cooling service for your garage or rooftop space, we can handle these projects too. At Oosterveld Heating & Air Conditioning, we can also help you find the perfect fireplace and install it for you. We even offer maintenance plans for our heating and cooling customers. To schedule your maintenance appointment, installation or any of our other services in Guelph and the surrounding areas, call Oosterveld Heating & Air Conditioning today. "I am so glad that I called Oosterveld Heating and Air Conditioning to install my new high efficiency furnace, A/C and hot water tank. The office staff were very friendly and helpful on the phone."